Kelly Taylor worked as an accountant for Community Health Partners (CHP) in Montana. On her way out for lunch in May 2009, she slipped on the stairs and landed on her tailbone. Her primary caregiver, Rebecca Hintze, worked for the same employer and provided medical advice soon after the injury. The claim was accepted by the Montana State Fund. Taylor suffered from pain off and on over the following months, using up her sick leave in a random succession of 1-3 day episodes. She did not seek comp indemnity for these incidents as she mistakenly thought comp required 4 consecutive lost days. Because of the long gap between indemnity payments, and because an IME found that the herniated disc following the pedicure was a new injury and not a recurrence of the old one, the claim was denied. Taylor appealed, and the case came before the estimable Judge John Jeremiah Shea, whom we have encountered a couple of times in the past: in the notorious “pot smoking with bears” incident, and in another complicated claim involving a non-compensable back injury. He concluded that the pedicure injury was an aggravation of the back injury suffered over a year prior. At the same time, he denied an award for attorney’s fees to Taylor, as he found that in denying the claim, the adjuster had acted reasonably. All of which might appear to be much ado about not much, but in the intricate and ever-evolving world of comp, this case embodies a core value of the system: the relentless effort to determine whether any given injury occurred “in the course and scope of employment.” Judge Shea, connecting the dots as methodically as a detective, concludes that the pedicure injury was an extension of the original fall. While the ruling itself can be questioned, Judge Shea’s method and discipline are beyond reproach . Montana Reforms: Rocky Mountain High Rates on the Way Down? It’s always interesting to see how a state legislature tackles high comp costs. In Montana, they set out to take a balanced approach, narrowing eligibility but enhancing benefits. While the legislators are patting themselves on the back for achieving their goals, unions have complained that too much of the cost reduction comes at the expense of workers. It usually does. (b) engaged in a social or recreational activity, regardless of whether the employer pays for any portion of the activity. The exclusion from coverage of this subsection (2)(b) does not apply to an employee who, at the time of injury, is on paid time while participating in a social or recreational activity or whose presence at the activity is required or requested by the employer. For the purposes of this subsection (2)(b), “requested” means the employer asked the employee to assume duties for the activity so that the employee’s presence is not completely voluntary and optional and the injury occurred in the performance of those duties. At times the revised law reads like a monologue, with legislators trying to anticipate the circumstances of an injury and limiting the comp system in its ability to award benefits. Massachusetts employers, in a state with six times the population of Montana, spend about $650 million for comp premiums. Montana’s current tab – $400 million – is expected to drop about 25 percent as a result of the new law. Even if you reduce the above Montana rates by 25 percent, employers are still confronted with big premium bills. Mount Comp might be substantially lower than it was, but it’s still a grueling climb. Posted in Business, Law, State News | Comments Off on Montana Reforms: Rocky Mountain High Rates on the Way Down? We last encountered Brock Hopkins back in June of 2010, when he had secured workers comp benefits for severe injuries incurred while feeding bears. He was a bit stoned at the time. Russell Kilpatrick, owner of Great Bear Adventures in Montana, contended that Hopkins was a volunteer. Judge Jeremiah Shea found in Hopkins’s favor. Now the Supreme Court of Montana has weighed in, finding that Judge Shea got it right. There were three major issues in determining compensability: whether Hopkins was an employee; whether he was in the course and scope of employment when attacked; and whether his marijuana use precluded payment of benefits. Hopkins frequently worked in the park, performing minor repairs and, yes, feeding the bears.The pay was informal, but Kilpatrick would slip him some money now and then. This “exchange of money for favors” is, well, employment. Thus, Hopkins was an employee, working under the admittedly informal and ad hoc supervision of the laid-back Kilpatrick. While it is not clear that Kilpatrick wanted the bears fed on the fateful day, he did not tell Hopkins not to feed them. And as Judge Shea deadpanned in his ruling: “…presumably, customers are unwilling to pay cash to see dead and emaciated bears.” Hopkins, in other words, was working when he mixed up the feed, set down his marijuana pipe on a fence post and entered the enclosure. Finally, the judge opined that smoking marijuana while working among bears was “ill-advised to say the least and mind-bogglingly stupid to say the most,” being high was not a factor in the attack. Red, the attacking bear, was an “equal opportunity mauler” and likely would have gone after anyone, stoned or sober. So Brock Hopkins, a loser by most accounts, wins in the courts. He collects indemnity for his (considerable) troubles and has all his extensive medical bills paid through the Montana uninsured fund. 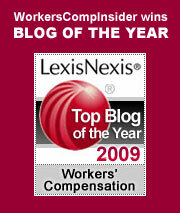 Kilpatrick’s legal woes continue, as he did not carry workers comp insurance for the employees he didn’t think he had. So much for clear thinking in the good mountain air of Montana. As a service for Insider readers who do not follow the Flathead Beacon, we bring you the western Montana saga of Brock Hopkins, who either was or was not an employee of Great Bear Adventures when he had a great bear adventure of his own, much to his detriment. Hopkins, 23 at the time, appears to have been an occasional worker at the seasonal attraction. On November 2, 2007, he showed up at the park, took a few hits on his marijuana pipe (not prescribed by a doctor) and checked in with the park owner, Russell Kilpatrick, who was on the phone at the time. Kilpatrick wanted Hopkins to repair a gate. After completing the task, Hopkins went to ask Kilpatrick if there was anything else that needed doing, but Kilpatrick was asleep (hibernating?). So Hopkins, after carefully placing his marijuana pipe on a storage shed outside the bear pen, mixed up some feed and entered the pen. He was attacked by a bear and sustained severe injuries to his legs. He barely managed to crawl out of the pen. In subsequent court proceedings, Kilpatrick argued that Hopkins was a volunteer at the park. While he denies asking Hopkins to feed the bears, he admits that he did ask him to adjust the gate. And, yes, he did slip him $300 shortly after he was released from the hospital. Meanwhile, the youthful Hopkins has knee problems and possibly permanent muscle damage. He may want to find himself a medical practitioner to write him a script for marijuana, which is available legally in Montana. Blowing smoke can ease the pain, as long as you don’t direct it into the face of a sleepy or hungry bear. Check out Cavalcade of Risk #62 at Wenchypoo – the Wall Street Wipeout Edition! The financial crisis and workers comp – According to a recent broker survey by Advisen, more than 75% of the respondents were confident or very confident about AIG’s financial security. Meanwhile, some preliminary news is starting to filter out about the effects of the market meltdown on workers comp. The Montana State Fund is down by about $26 million – the first of many such reports we are likely to hear. West Virginia is considering suing Wall St. firms due to losses in investments for public employee pension funds, workers comp, and other benefit programs. The meltdown is global. In Australia, WorkSafe Victoria reports a $600 million drop in the value of its investments. New Jersey comp reform – Governor Jon Corzine just signed five bills to strengthen and reform New Jersey’s workers compensation system. The measures were taken to in response to an investigative series in the Star-Ledger last spring revealing a series of weaknesses and holes in the system which left injured workers facing lengthy delays for benefits and medial treatment. The new measures expedite hearings involving medical issues; mandate employer proof of workers compensation coverage and increases penalties for employers who fail to have coverage; increase the power of workers comp judges; and broaden public representation on the governing board of the Compensation Rating and Inspection Bureau. Carrier preference survey – Insurance Journal recent conducted a survey of 1,600+ independent agents which offers a window on agent attitudes to the carriers they work with. Unsurprisingly, pricing is the the leading factor that influences most agents (63%) to select a new market over their preferred market. This is followed by coverage (55%), customer need or request (53%), or underwriting restrictions (51%). When asked why they avoid carriers, agents cited three issues: poor service, muddled carrier organization and erratic underwriting.